Page layout and cover design. We work with a range of illustrators and photographers to give your book the look and feel it needs. Ebooks or a printrun of ten to 10,000. We will prepare the artwork, get your book into print and delivered to your door. Typesetting, proofreading, picture editing, website design or marketing, we will do whatever it takes to help make your book successful. 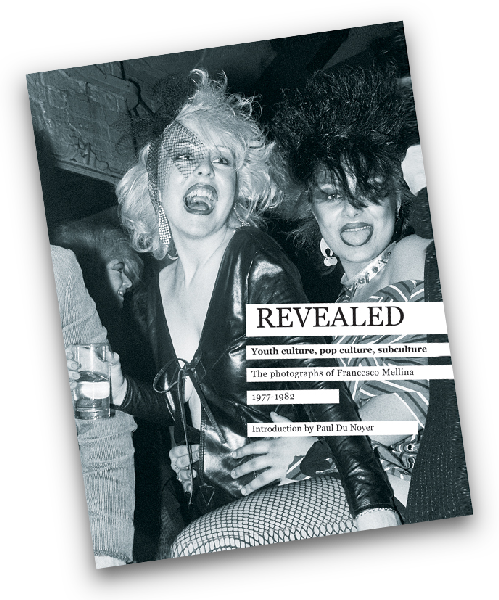 REVEALED is a 176-page book of black and white photographs taken in the clubs and music venues around England’s north west by Italian photographer Francesco Mellina between 1977 -1983. With a brilliant and poignant three-page introduction by acclaimed music journalist Paul Du Noyer, which puts the photographs into context.